Instagram is deprecating features necessary for running hashtag contests via its API on December 11, 2018. Online marketers — commence panic! Now take a deep breath. At ShortStack, our team of engineers updated our hashtag contest capabilities to ensure you still have access to the Instagram features you love. In this blog post, I explain Instagram’s planned API deprecation, what the changes mean for you, and the new process our engineering team created for running Instagram Hashtag contests on ShortStack. Instagram announced the deprecation of their API platform on January 30, 2018. Over the past year, Instagram has been deprecating various features of their API in order to protect the privacy of users and increase data security. In its place, they created a new Instagram Graph API which is based on the Facebook Graph API. Shutting down access to analyze an account’s followers. However, there are still more features of the current API that will be deprecated in December. The next round of Instagram’s API deprecation might not seem like it affects you, but it does if you’re using Instagram for a business. 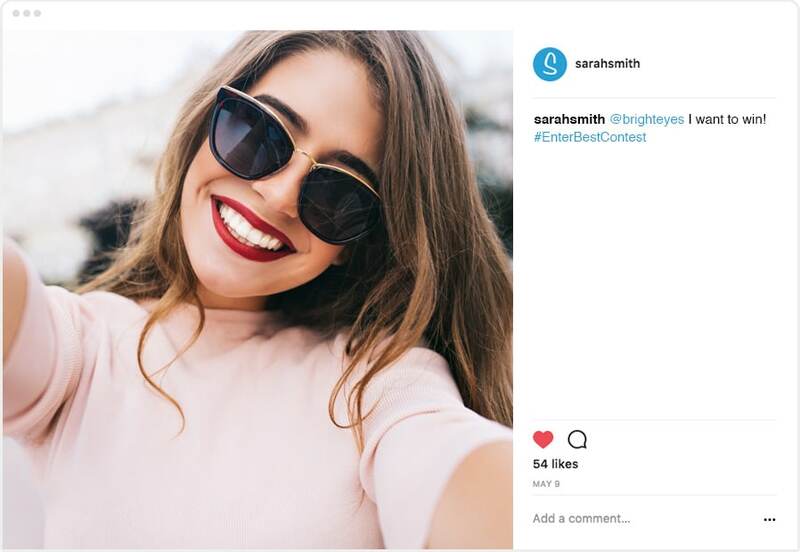 In fact, according to the Instagram help documentation, the new Instagram Graph API is “designed specifically with businesses in mind.” Previously, any Instagram profile had the ability to pull in hashtag content from posts on Instagram. However, the new API requires you to have both a Facebook Page and an Instagram Business Account. With this change, applications using the Instagram API will no longer have access to read public posts on a user’s behalf. For businesses, this means you can no longer simply pull posts with a specific hashtag from Instagram. The Instagram API deprecation requires a new process from ShortStack users for setting up their hashtag contests and a new process for hashtag contest participants for submitting their entries. Let’s get to it. NOTE: When describing the new hashtag contest process, I will mark the portions of this process that have not changed with *. Create a Facebook Page that can be connected to your Instagram Business Account for this hashtag contest. Learn more on setting up a Facebook Page by reading our Facebook Page Primer. Create an Instagram Business Account if you have not already done so. Instructions for creating an account can be found in our blog post, How to Set Up an Instagram Business Profile. Connect your Instagram Business Account to your Facebook Page. Choose the Facebook Page associated with the Instagram Business Account — this should be the Facebook Page linked to the Instagram account you want entrants to @mention when submitting an entry. 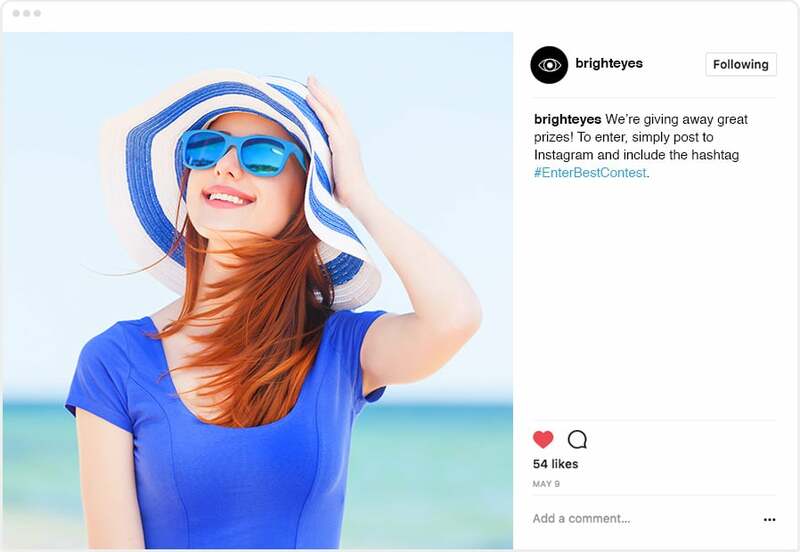 Below you’ll find two example posts by a business advertising their hashtag contest. One version reflects the old hashtag contests and the other reflects the new hashtag contest with the @mention requirement. In the past, you could simply tell folks to include your contest hashtag(s) in their posts to enter. Now entrants will need to include the hashtag(s) and they need to @mention the Instagram Business Account you indicated when setting up the ShortStack feed. Here are two examples of hashtag contest entry posts. The first post shows the old entry process, while the second post includes the new @mention requirement. As you can see, one of the best things about this new process is that people who view the entry post will also see your business being tagged in the entry. The @mention in hashtag contest entries increases brand awareness. If you have any questions on setting up your hashtag contests in ShortStack, just shoot an email to theteam@shortstacklab.com.